From being a vocalist in one of the first live hip-hop bands out of the United Kingdom, to 20 years later running an independent record label in India, Mo Joshi, Co-Founder of Azadi Records has long been associated with grassroots subculture movements. Over the course of his career he’s worked with renowned independent festival venue, Chai Wallahs, Grammy award winning singer Joss Stone, as well as working with hip-hop artist, historian and journalist Akala who whom he is still working with to this day. 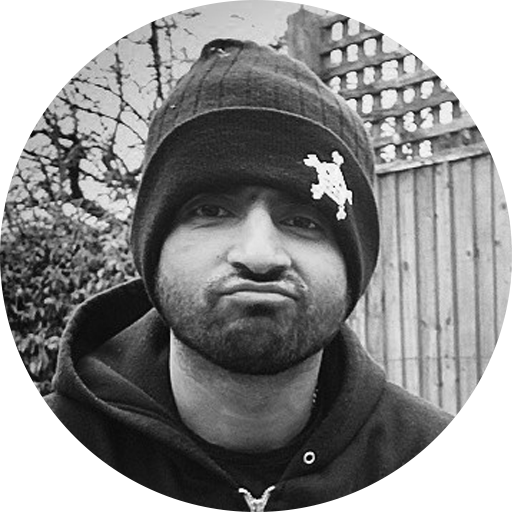 In 2014, Mo permanently moved to India and set about getting his name know within the Indian hip hop scene, in 2015 he took over the running of desihiphop.com, the worlds largest platform dedicated to south Asian hip hop, and grew the community from 1,000 monthly visitor, to 250,000. Disillusioned with their vision, Mo left DHH and founded Azadi Records with music journalist, Uday Kapur. Having signed standout Delhi rapper, Prabh Deep and released his debut album Class-Sikh to critical acclaim, Azadi Records have set about discovering artists with a unique sound who also have a story to tell.